Unfortunately, it says quite a bit. As a book that gives us everything we need for life and godliness, the Bible gives instructions about marriage and warnings about divorce. But that is not all that it says. If our minds jump too quickly, we may only remember the words of Malachi 2: God hates divorce. But we can’t read that prophetic utterance without reading Jeremiah 3, a passage that tells how God issued a certificate of divorce to his covenant people Israel when their sin destroyed their covenant with God. Moreover, we cannot forget the grace God gives to heal past sins, even as we read and repeat his instructions about covenant marriage and the sinfulness of divorce. Accordingly, we must understand divorce according to the full gospel story of creation, fall, redemption, and new creation. In this context, we begin to see how the whole Bible gives comfort and conviction about this and every subject. But why are we taking about divorce? 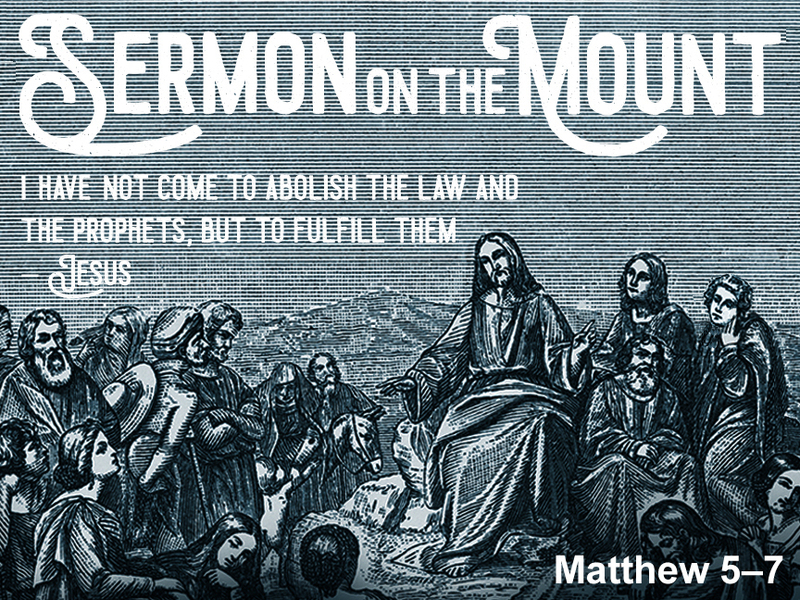 Well, in our series on the Sermon on the Mount, we had to return to one section of the Sermon our schedule forced us to postpone—namely, Jesus’s teaching on marriage and divorce in Matthew 5:31–32. With help from Jeremiah 3, I preached a message on the root problem of divorce (a hard-heart) and how Christ enables covenant-breakers to be covenant-keepers. You can listen to the sermon online. Response questions are below, as are additional resources—both ethical and practical—regarding marriage and divorce. 6 The Lord said to me in the days of King Josiah: “Have you seen what she did, that faithless one, Israel, how she went up on every high hill and under every green tree, and there played the whore? 7 And I thought, ‘After she has done all this she will return to me,’ but she did not return, and her treacherous sister Judah saw it. 8 She saw that for all the adulteries of that faithless one, Israel, I had sent her away with a decree of divorce. Yet her treacherous sister Judah did not fear, but she too went and played the whore. 9 Because she took her whoredom lightly, she polluted the land, committing adultery with stone and tree. 10 Yet for all this her treacherous sister Judah did not return to me with her whole heart, but in pretense, declares the Lord.” 11 And the Lord said to me, “Faithless Israel has shown herself more righteous than treacherous Judah. 12 Go, and proclaim these words toward the north, and say, “ ‘Return, faithless Israel, declares the Lord. I will not look on you in anger, for I am merciful, declares the Lord; I will not be angry forever. 13 Only acknowledge your guilt, that you rebelled against the Lord your God and scattered your favors among foreigners under every green tree, and that you have not obeyed my voice, declares the Lord. 14 Return, O faithless children, declares the Lord; for I am your master; I will take you, one from a city and two from a family, and I will bring you to Zion. 15 “ ‘And I will give you shepherds after my own heart, who will feed you with knowledge and understanding. 16 And when you have multiplied and been fruitful in the land, in those days, declares the Lord, they shall no more say, “The ark of the covenant of the Lord.” It shall not come to mind or be remembered or missed; it shall not be made again. 17 At that time Jerusalem shall be called the throne of the Lord, and all nations shall gather to it, to the presence of the Lord in Jerusalem, and they shall no more stubbornly follow their own evil heart. 18 In those days the house of Judah shall join the house of Israel, and together they shall come from the land of the north to the land that I gave your fathers for a heritage. In light of the sensitivity of this subject, you might begin by asking: Is there anything you would like to talk about? Or did the sermon this week prompt any immediate points of pain, concern, or application? What truths about marriage did you learn from Jeremiah 3 and Matthew 5:31–32? Is there anything that was corrected or challenged in your thinking? When talking about sexual sin, why is it so important to keep the gospel so near to the conversation? What happens when you only speak of divorce (or any other deviation from God’s design) with imperatives, rules, and judgment? What does Matthew 5:31–32 (and the rest of the Sermon on the Mount) teach us about the New Covenant? How does the New Covenant encourage your hope and strengthen your obedience? What are ways that believers are tempted to forsake their marriage covenants? Or, to put it differently, what are the sins and situations in life that are most damaging to marriage? What are you doing to strengthen your marriage? How do Jesus words help you to remain faithful in marriage? How would you counsel someone who is thinking about divorce? What passages of Scripture would you use? How would you balance grace and truth? Kindness and conviction? What is the church’s role with respect to marriage and divorce? What role do members and pastors of the church play in strengthening marriage and holding one another accountable? Take time to pray for one another’s marriages. Here are a few more resources that may challenge you (David Prince’s article), protect you (Heath Lambert’s review), and inspire you (Ian and Larissa’s story). What Makes a Divorce ‘Biblical’? John Murray, Divorce (Phillipsburg, NJ: P & R, 1961). William Heth, “Jesus on Divorce: How My Mind Has Changed,” SBJT 6/1 (Spring 2002): 4–29.— Heth rescinds his previous view and explains why he changed his mind; this shows both sides of the issues and how someone committed to Scripture wrestled through this knotty issue. John Frame, “Recent Reflections on Divorce,” Frame-Poythress.Org (2012) — With a short treatment concerning abuse. John Piper, “Divorce and Remarriage: A Position Paper.” (1989) — N.B. Piper’s view was not and is not practiced at Bethlehem Baptist Church (see above). Gordon J. Wenham and William E. Heth, Jesus and Divorce (Paternoster, 2002; repr. Eugene, OR: Wipf & Stock, 2010) — N.B. After being one of the leading academic proponents of the Minority View, William Heth changed his position (see above). Gordon J. Wenham, “Does the New Testament Approve Remarriage after Divorce?” SBJT 6/1 (Spring 2002): 30–45. Ken M. Campbell (ed. ), Marriage and Family in the Biblical World (Downers Grove, IL: IVP Academic, 2003). Andreas Köstenberger with David Jones, God, Marriage, and Family: Rebuilding the Foundations, 2nd Ed. (Wheaton, IL: Crossway, 2010). Mark L. Strauss (ed. ), Remarriage after Divorce in Today’s Church: Three Views (Grand Rapids: Zondervan, 2006). — The three contributors are Gordon J. Wenham, William Heth, and Craig Keener.